Franz Werfel's acclaimed, award-winning novel is at last on DVD. Before the Nazi atrocities of World War II, there was Turkey's war against the Armenians. 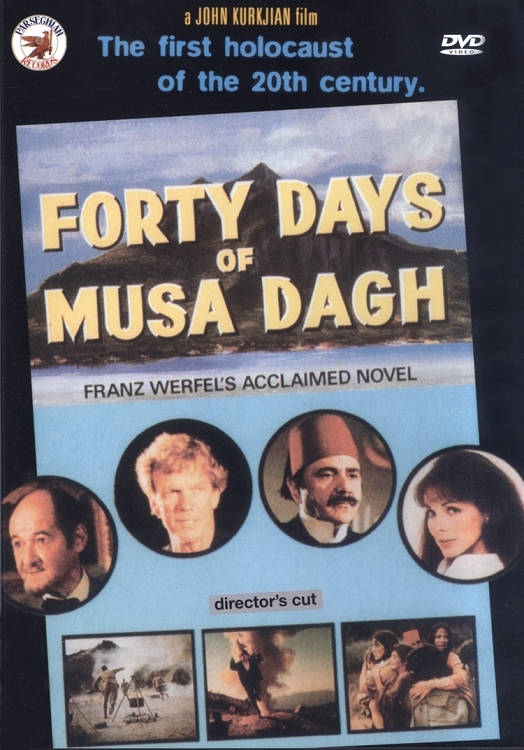 The Forty Days of Musa Dagh is the courageous account of an Armenian struggle for freedom. This lavish production features big-name Hollywood stars in a stirring and action-packed film that highlights the bravery of the Armenians who defended their village against incredible odds in their last holdout--on top of Musa Dagh. This is a true story that you will never forget.